Swenson’s made with love of design. It has modern and trendy design. Each design element has an aim and taste on it. Easily drag, drop and create custom layouts! Swenson comes with an extended version of Visual Composer and 40+ components. Swenson is coming with pre-defined 4 header templates. You can customize these templates by using Crespo Panel to create your custom header. Use Swenson’s Easy Demo Installer to get a smooth install. Demo Installer will manage and generate everything for you. Swenson is based on popular Redux Option Panel. The panel has extensive options to manage your site. Crespo’s options will be your playground. 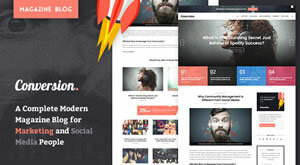 You can create popular one-page or classic multi-page sites with Swenson. You will love our one-page demos. Swenson comes with powerful color options and 8 color schemes. Select a scheme or pick your unique color and change your identity. 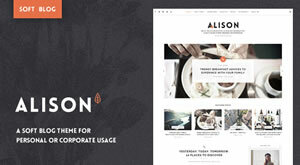 Use Revolution Slider to showcase your work, portfolio or product. Slider has a support of full screen video content. Icon-only component has already 3 presentation types and 7 font icon library 1000+ icons are ready to use. You are free to arrange your icon sizes. Selecting icons is really easy. Swenson has smooth and performance saver parallax support for image background sections out of the box. Swenson has a robuts and really flexible layout mechanism. Boxed or full width… If you like, you can change your layout for just a page by using in-page options as well. Customize your navigation style and behavior for your site and make it unique. You can also style and change your navigation behavior for mobile devices as well. Wow! Swenson is based on popular Redux Option Panel. You need to use panel options to run your site properly. The panel has extensive configuration options. To view the panel, navigate to Swenson Options link in the left-hand menu. You can find the summary regarding the option panel tabs and settings below. Icon-only component has already 3 presentation types and 7 font icon library 1000+ icons are ready to use . You are free to arrange your icon sizes. Selecting icons is really easy. We’re using font icons to design stunning interfaces.